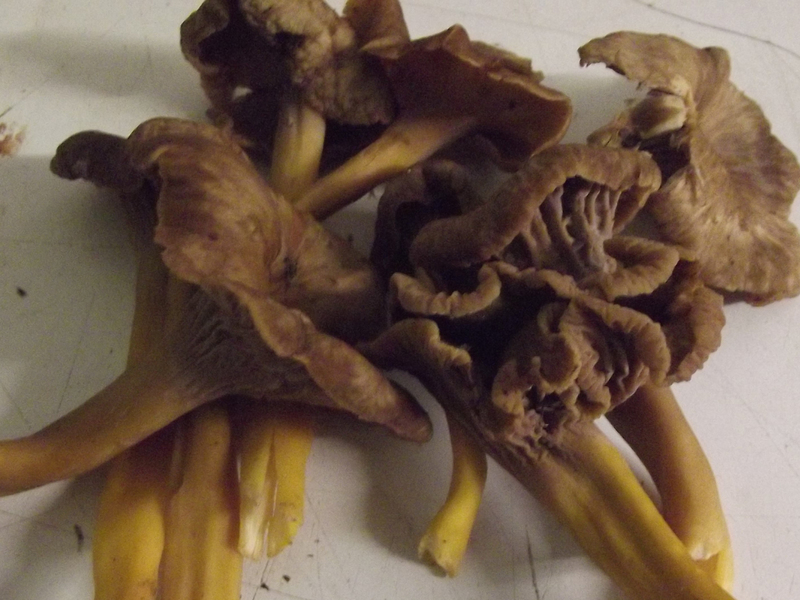 Occasional but can be found in great numbers towards the end of the season when lucky enough to find them. 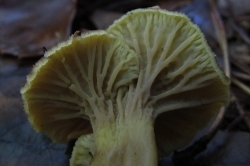 Convex with a depression in the centre when young becoming funnel-shaped with irregular edges. 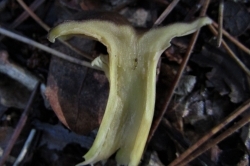 A hole in the centre can run right through to the hollow stem. 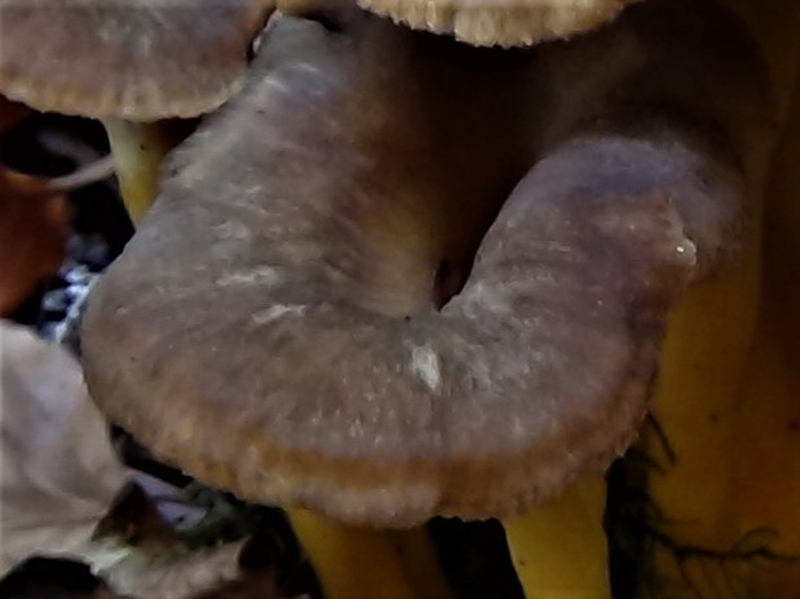 Dark yellow/brown to orange/yellow. 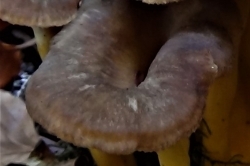 Pale yellow/brown. 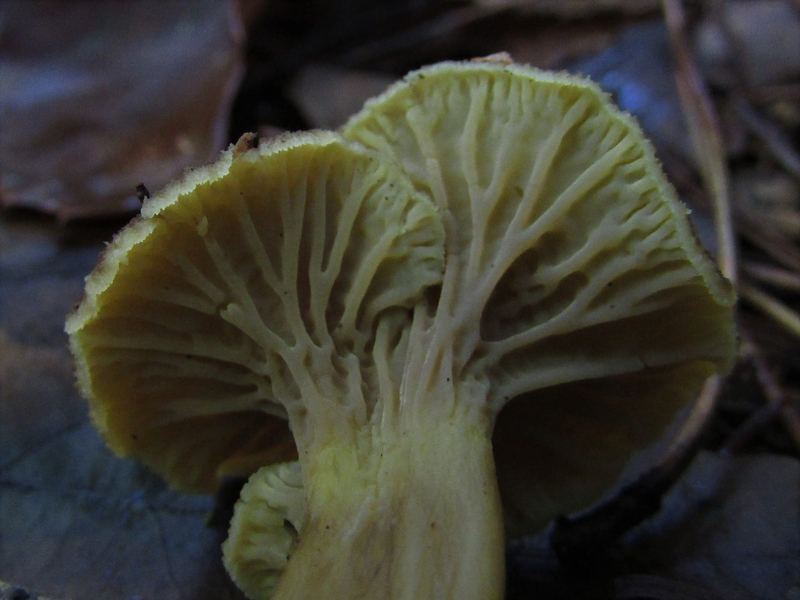 Not crowded, irregularly branching and running down the stem, these are not true gills but folds. 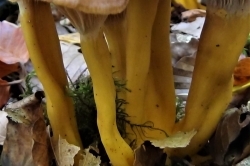 Yellow, cylindrical to irregular and hollow. 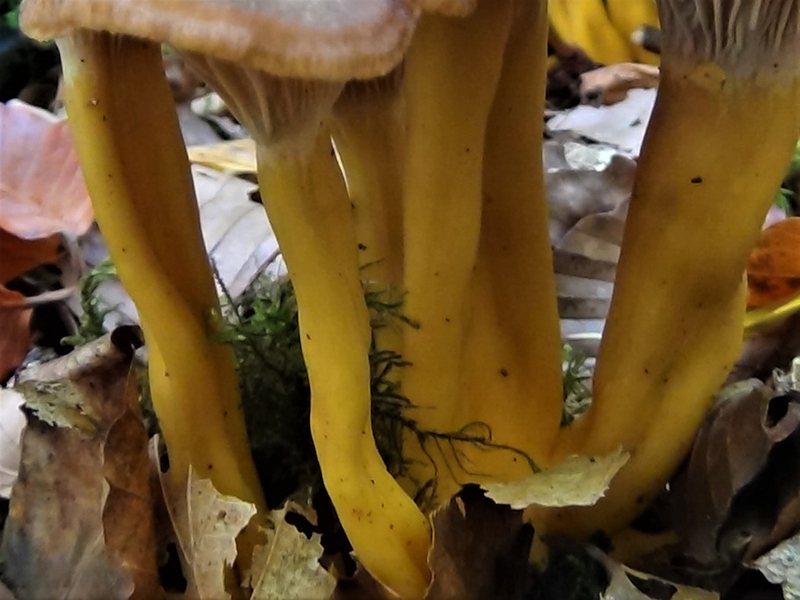 Can have a vertical depression making the stem look like a pair of yellow legs. 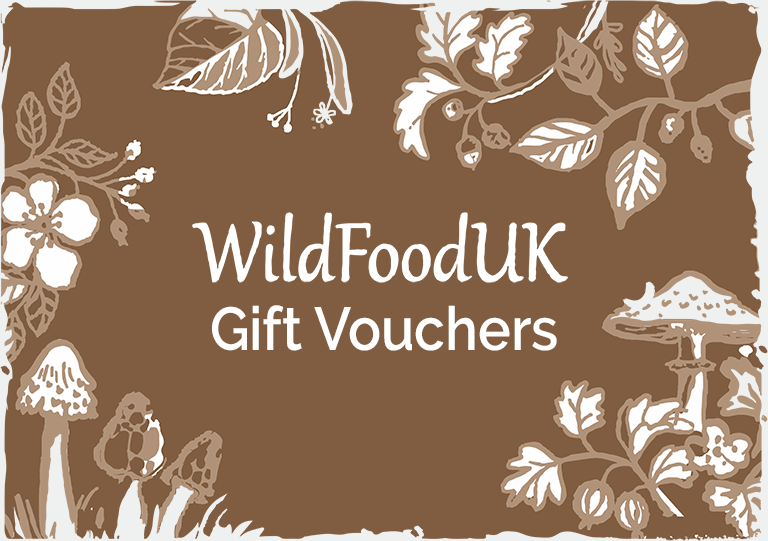 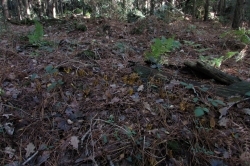 Mixed woodland and coniferous forest on moss or rotting wood. 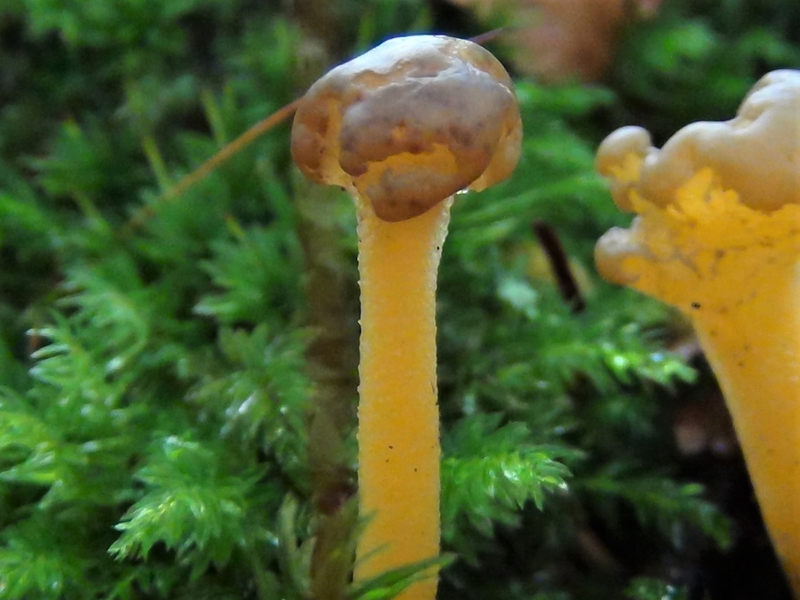 Found more in mossy Beech woods. 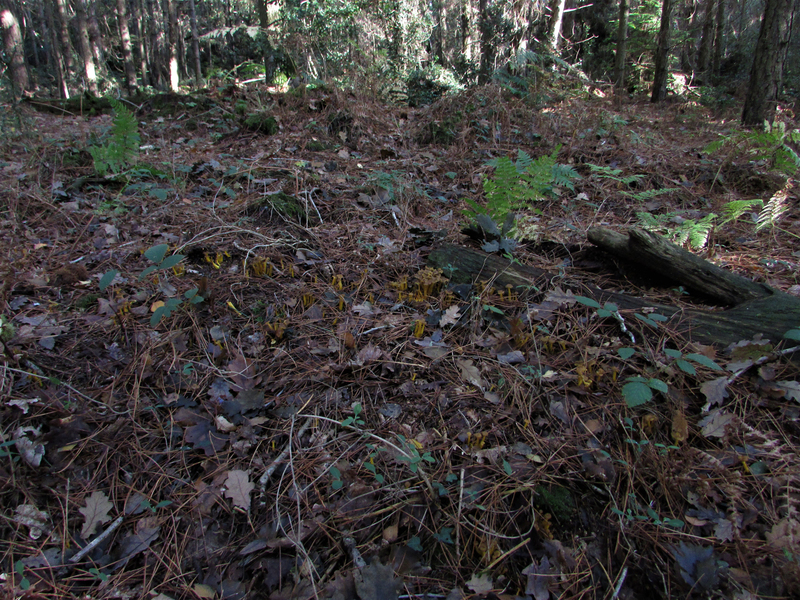 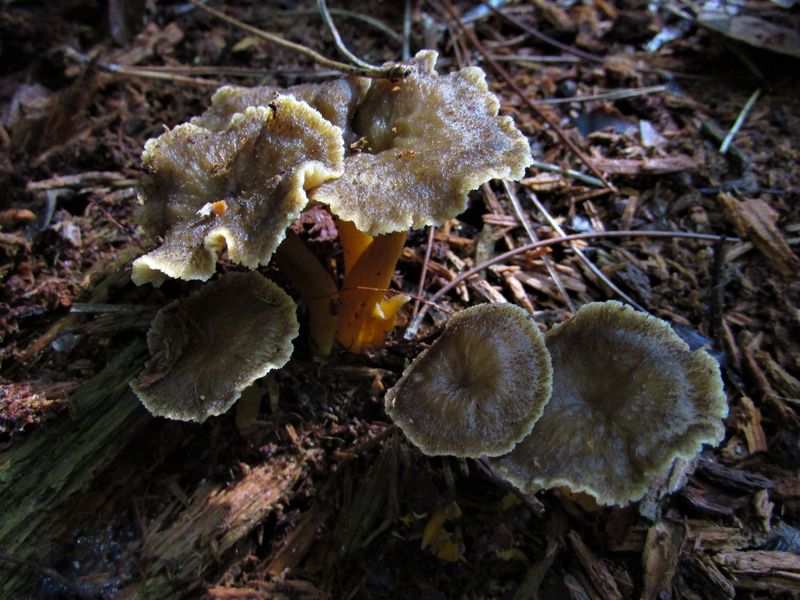 Other Chanterelles but these are edible. 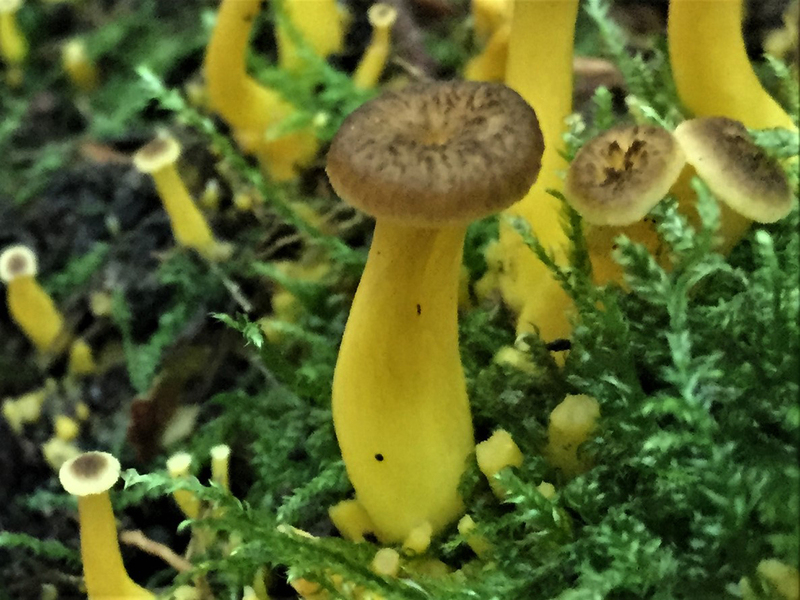 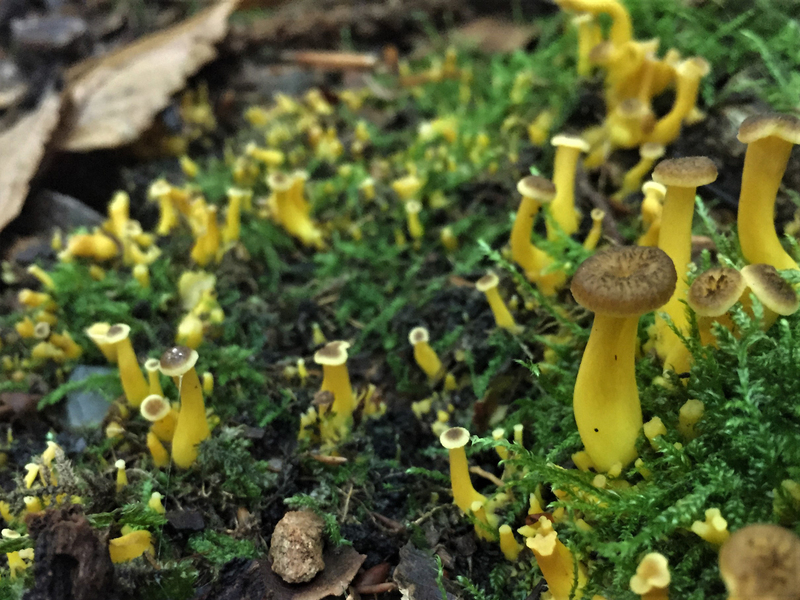 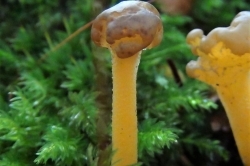 The Jelly Baby, Leotia lubrica, pictured, looks similar but does not have gills and has a bulbous cap rather than a slight funnel shape. 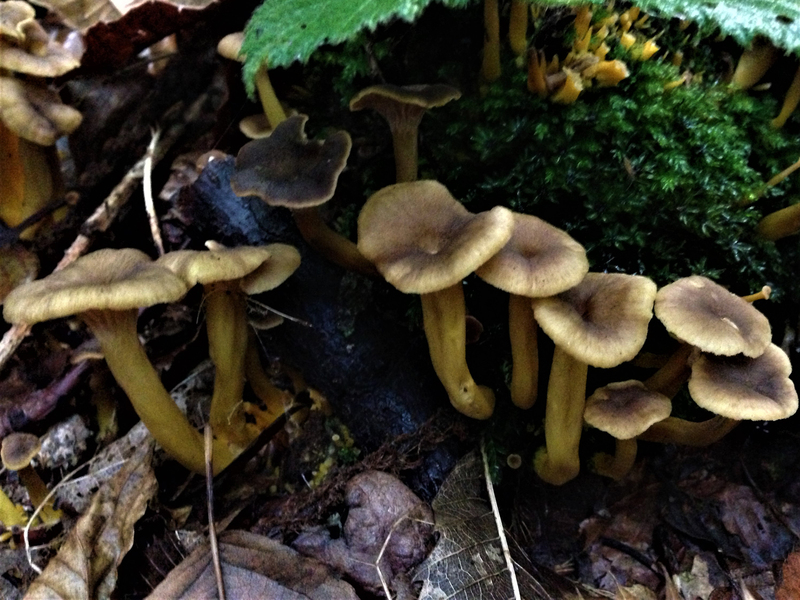 This mushroom is considered poisonous or inedible in some guides, edible in others, best avoided. 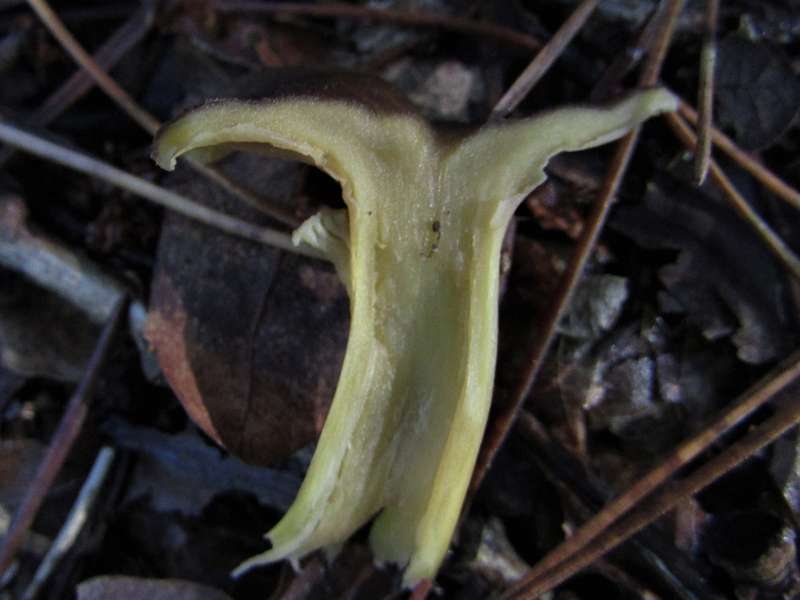 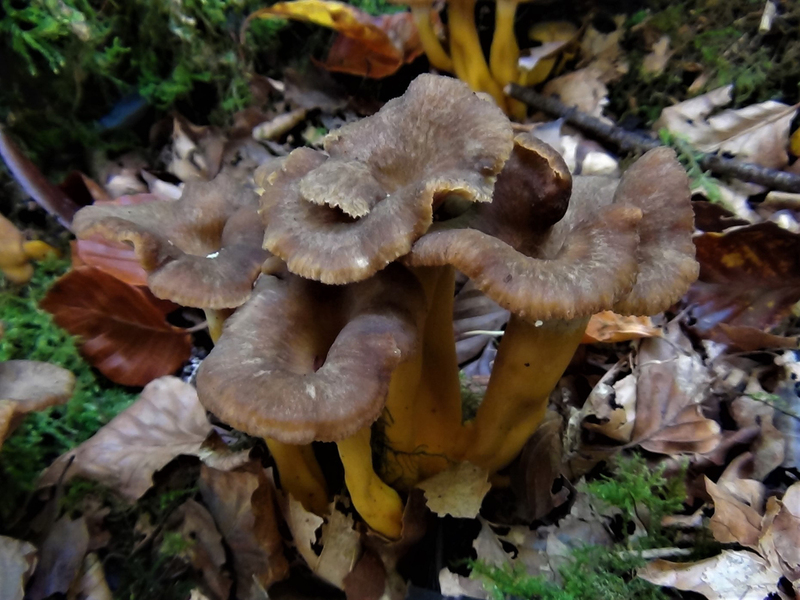 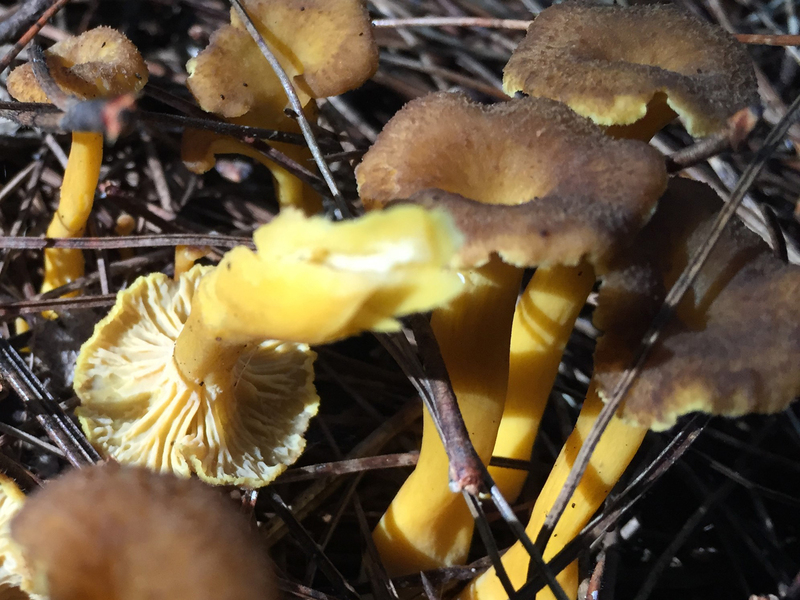 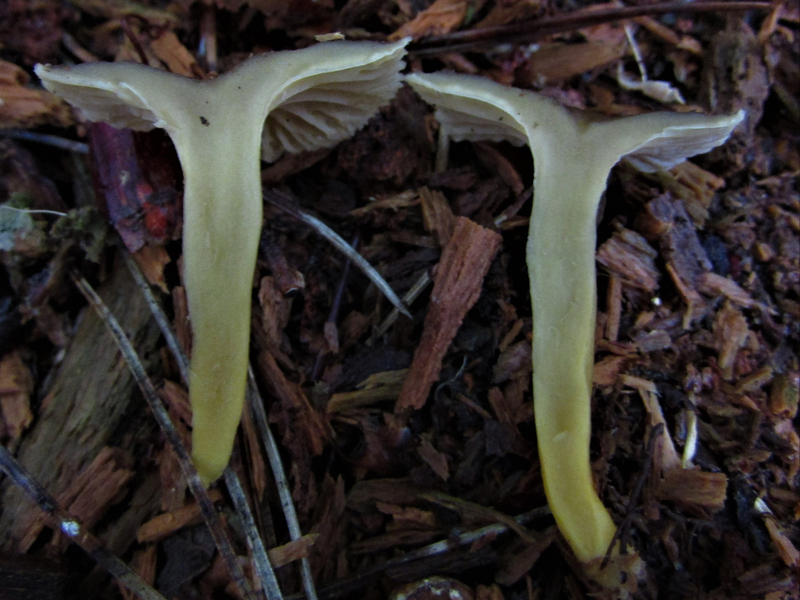 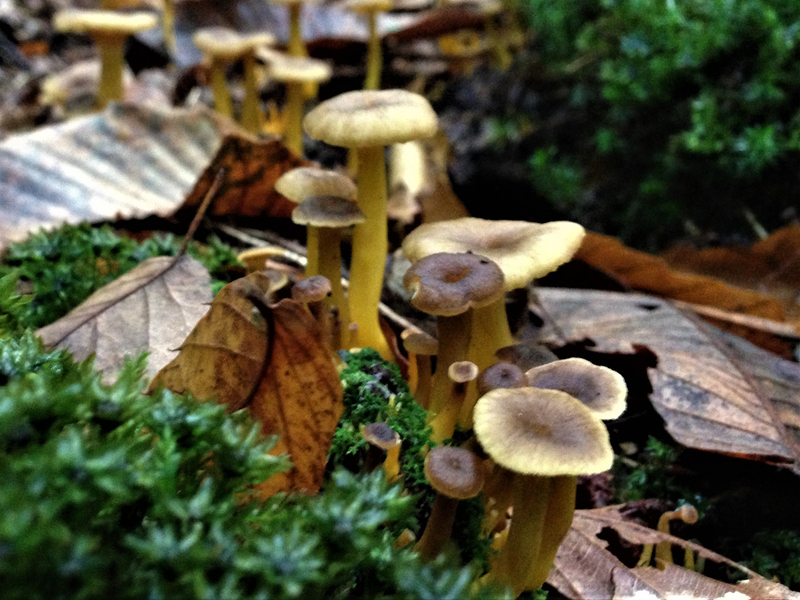 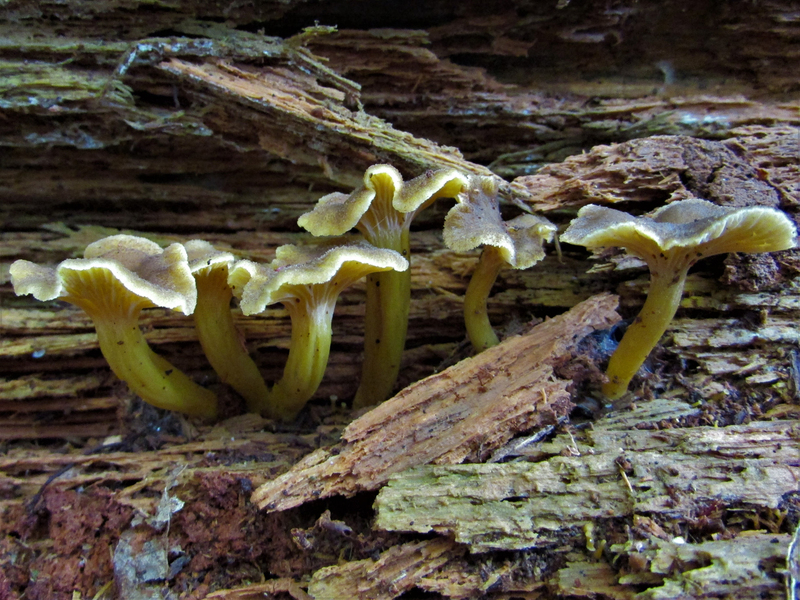 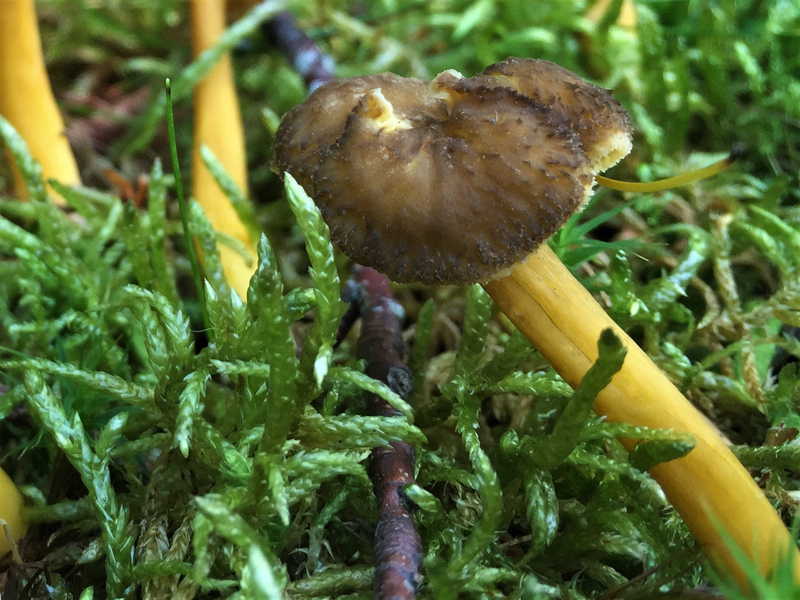 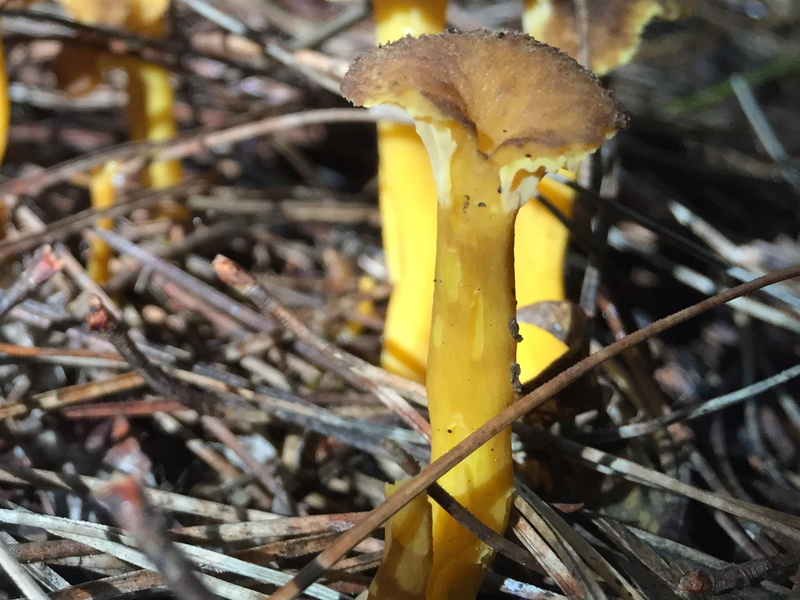 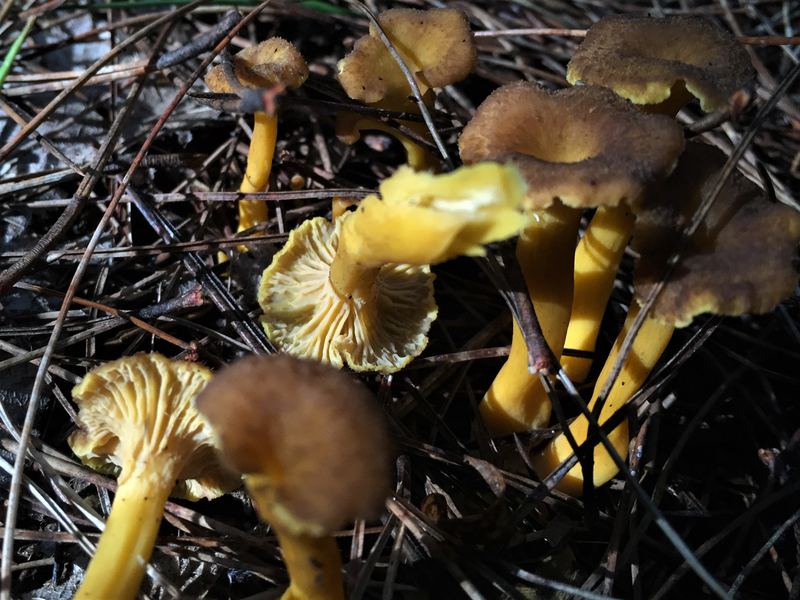 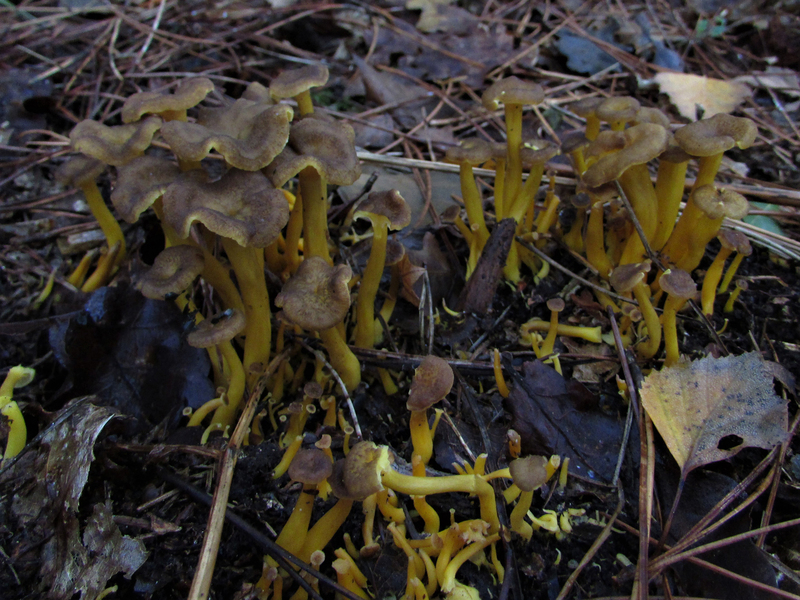 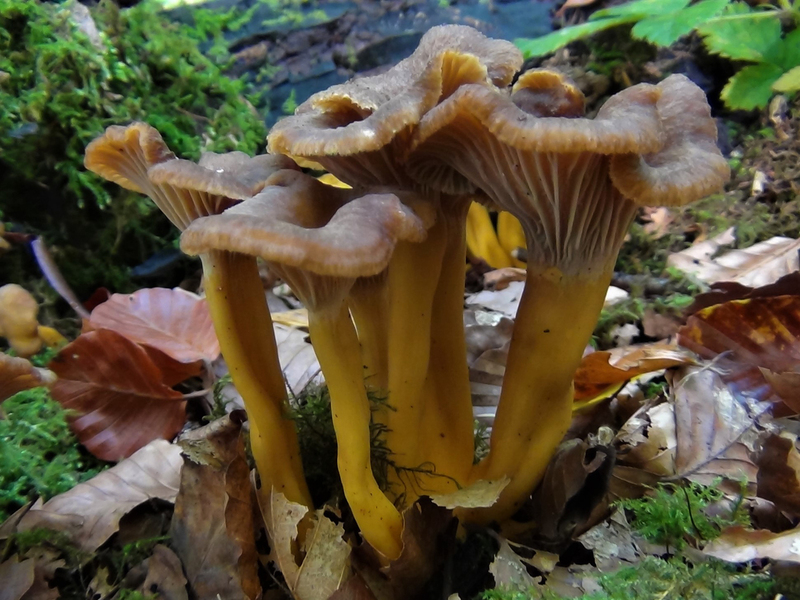 Excellent, stronger but less sweet than Chanterellus cibarius.